The lack of a sufficient educational infrastructure within informal settlements results in children missing out on vital foundation stage education. Schools within these areas are under-resourced and over- subscribed which result in large class sizes and little to no equipment to help them receive a good education. Education in South Africa comes at a price and parents pay school fees for their children to attend school and with very little government funding, schools look to parents of low income families to provide resources, teachers and extra-curricular activities. Ukuthasa continues to support Emyezweni, which is such a pivotal part of community life in the Lwandle township in the Western Cape of South Africa. Children are given vital foundation stage opportunities they might otherwise be denied. Class sizes are kept small so that the children benefit from individual attention and the teaching staff consistent of a number of volunteers and a small paid staff. 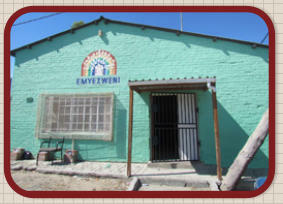 Emyezweni returned as a nursery and Grade R school in January 2016. This was a difficult decision as much time and effort had been dedicated to achieving primary school status. Unfortunately the registration proved elusive. The government in South Africa have recently made it compulsory to attend school from Grade R (equivalent to Reception Year in the UK or kindergarten) and there is a greater need for more of these places. The 2015 academic year was a challenging one for the school. 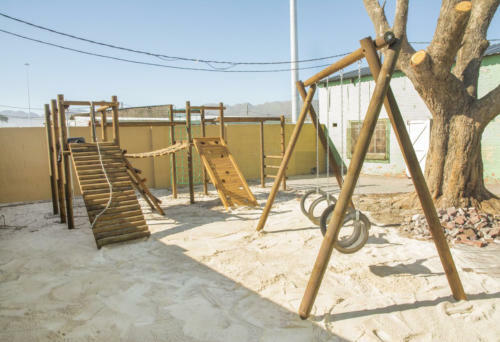 In the latter part of the year, the school suffered a number of setbacks with an armed robbery and an electricity pylon falling on the school building. Thankfully none of the staff nor children where hurt during these incidents. The armed robbery took place in the morning and thankfully the perpetrators escaped with only a small amount of money. The children and staff were safe, although shaken. The school closed before the end of the term to make necessary security upgrades. During the school holidays, an electricity pylon fell onto the school building, damaging the roof. Unfortunately whilst assessing the damage, asbestos had been discovered in the roof and this had to be removed and made safe for use. Although this caused disruption with the classes as the Grade R children were sent home and classes were reduced to fit into a smaller temporary building, the staff and teachers managed to complete the school year with the children and celebrate their hard work and achievements. Thankfully the building passed inspection and opened as per usual in January 2016. 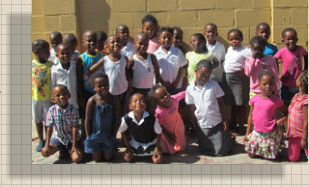 The Child Sponsorship Programme provides much needed funding to Emyezweni. This programme enables children to attend the school by way of contributing towards their school fees and enhances their educational experience through funding educational school trips and buying resources to equip the classrooms to a high standard. A small donation makes a huge difference to the children, if you would like to donate resources to the school, please see below for a list of items needed. "The Ukuthasa Child Sponsorship Programme has continued, through the years, to have a huge impact on the school and the lives of our children. It has enabled us to take them out to visit many beautiful and exciting places that they would otherwise not experience and it helps us to provide them with quality resources and classroom equipment to enrich their learning and give a greater variety and depth to their educational experience. We have also seen many improvements to our facilities, been able to offer employment and training opportunities to more local people and been equipped to greater meet the needs of the surrounding community through the generosity of our sponsors. We are so grateful for all that you do!" - Sarah Roberts - previous Emyezweni School teacher. 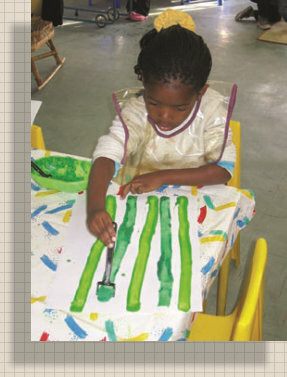 Ukuthasa is looking for sponsors for children in Grade R (the final pre-school year). The aim is to give each child the support he or she needs to continue with their studies and encourage them to progress to primary school education. There are 30 children in a class this year and we have sponsors for 22. Sponsorship of a child is for one year, and there are two levels available: £14.50 per month partial or £29 per month full sponsorship for one child. Each sponsor will receive regular updates and work from the children in the Grade R class throughout the course of the year. School Shoes: £12. Rainy-day Proofs: £10. In the winter the children often use bin liners to keep them dry on their walk to school. Winter Warmers: £4. In the winter it can be quite cold in the school, making a hat, scarf or warm pair of gloves a real treat! Book Club: £40 will provide a class with a set of ‘beginners’ guiding reading books that will be pivotal with teaching the children to read. 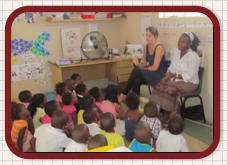 Classroom Resources: £20 will enable the school to buy much needed resources, such as sports equipment and stationary. Not see anything you fancy? Check out our Gift Shop for other realy great gift ideas and sponsorship options. The 2017 academic year finished in December , but before closing for the holidays, the staff at Emyezweni organised two trips for all the children. 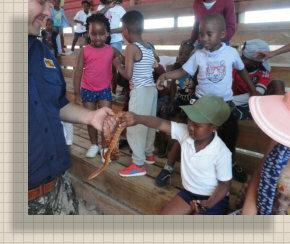 The Grade R children visited a local nature reserve called Giraffe House Wildlife Awareness Centre and the Nursery and Toddler classes visited Butterfly World. 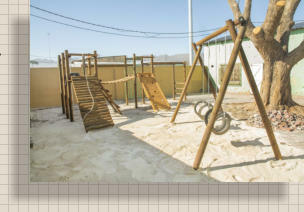 In 2017, the children were delighted to get a Jungle Gym for their playground, which will offer a safe environment to develop their motor skills and friendships. The lack of a sufficient educational infrastructure within informal settlements results in children missing out on vital foundation stage education. Schools within these areas are under-resourced and over-subscribed which result in large class sizes and little to no equipment to help them receive a good education. Education in South Africa comes at a price and parents pay school fees for their children to attend school and with very little government funding, schools look to parents of low income families to provide resources, teachers and extra-curricular activities. Ukuthasa continues to support Emyezweni, which is such a pivotal part of community life in the Lwandle township in the Western Cape of South Africa. 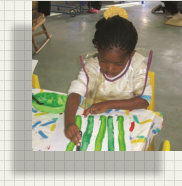 Children are given vital foundation stage opportunities they might otherwise be denied. Class sizes are kept small so that the children benefit from individual attention and the teaching staff consistent of a number of volunteers and a small paid staff. 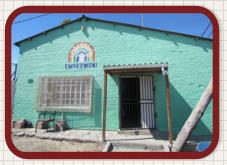 Emyezweni returned as a nursery and Grade R school in January 2016. This was a difficult decision as much time and effort had been dedicated to achieving primary school status. Unfortunately the registration proved elusive. The government in South Africa have recently made it compulsory to attend school from Grade R (equivalent to Reception Year in the UK or kindergarten) and there is a greater need for more of these places. The 2015 academic year was a challenging one for the school. In the latter part of the year, the school suffered a number of setbacks with an armed robbery and an electricity pylon falling on the school building. Thankfully none of the staff nor children where hurt during these incidents. The armed robbery took place in the morning and thankfully the perpetrators escaped with only a small amount of money. The children and staff were safe, although shaken. The school closed before the end of the term to make necessary security upgrades. During the school holidays, an electricity pylon fell onto the school building, damaging the roof. Unfortunately whilst assessing the damage, asbestos had been discovered in the roof and this had to be removed and made safe for use. Although this caused disruption with the classes as the Grade R children were sent home and classes were reduced to fit into a smaller temporary building, the staff and teachers managed to complete the school year with the children and celebrate their hard work and achievements. Thankfully the building passed inspection and opened as per usual in January 2016. 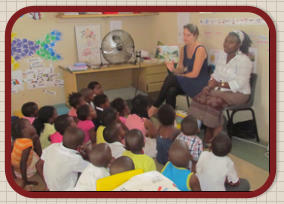 The Child Sponsorship Programme provides much needed funding to Emyezweni. This programme enables children to attend the school by way of contributing towards their school fees and enhances their educational experience through funding educational school trips and buying resources to equip the classrooms to a high standard. A small donation makes a huge difference to the children, if you would like to donate resources to the school, please see below for a list of items needed. "The Ukuthasa Child Sponsorship Programme has continued, through the years, to have a huge impact on the school and the lives of our children. It has enabled us to take them out to visit many beautiful and exciting places that they would otherwise not experience and it helps us to provide them with quality resources and classroom equipment to enrich their learning and give a greater variety and depth to their educational experience. We have also seen many improvements to our facilities, been able to offer employment and training opportunities to more local people and been equipped to greater meet the needs of the surrounding community through the generosity of our sponsors. We are so grateful for all that you do!" - Sarah Roberts - previous Emyezweni School teacher. The 2018 academic year finished in December , but before closing for the holidays, the staff at Emyezweni organised two trips for all the children. 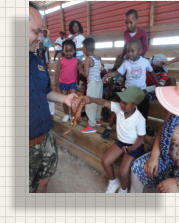 The Grade R children visited a local nature reserve called Giraffe House Wildlife Awareness Centre and the Nursery and Toddler classes visited Butterfly World.